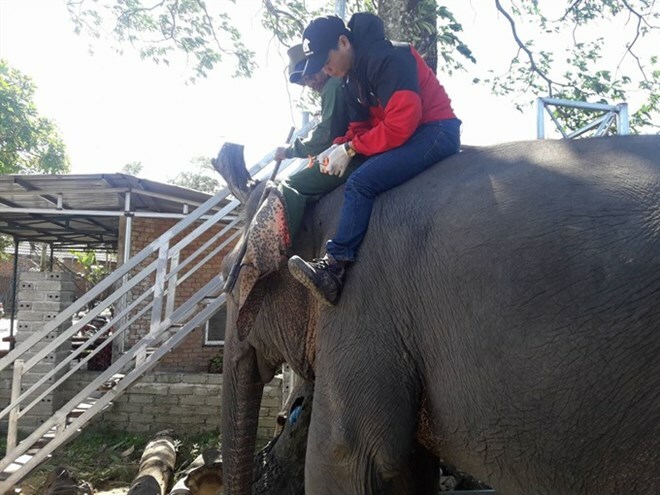 HCM City (VNA) - The Elephant Conservation Centre in the Central Highlands province of Dak Lak is carrying out implant of microchips in captive elephants. The province has 45 captive elephants, according to the centre. Thirty of them got the implants on December 16 and 17, and the chips will be embedded in the remaining animals by the end of this month. A rice grain-sized chip is placed under the animal’s left shoulder with its full profile including biographical information, chip code, health status and the use of drugs. Huynh Trung Luan, director of the centre, said the chips would serve as an identity card for the elephants. The total cost of the implants is estimated at 90 million VND (nearly 4,000 USD). The centre is responsible for tracking and updating the records.